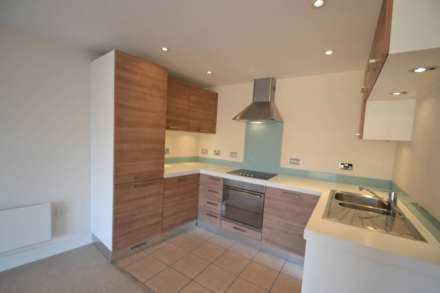 A modern two double bedroom maisonette situated in a quiet cul-de-sac location. Own private front door, modern landing with feature stone wall. Stairs down to two double bedrooms, modern fitted kitchen with appliances, stunning bathroom/WC with shower and living room with patio doors to own private patio. Off street parking. Gas central heating has been installed. Unfurnished and available 22nd April 2019. All photographs are provided for guidance only and are under strict Copyright of Direct Residential Ltd. Reproduction in any form is not permitted.